Three Holes is a very small village, situated on the A1101 between Ely and Wisbech. 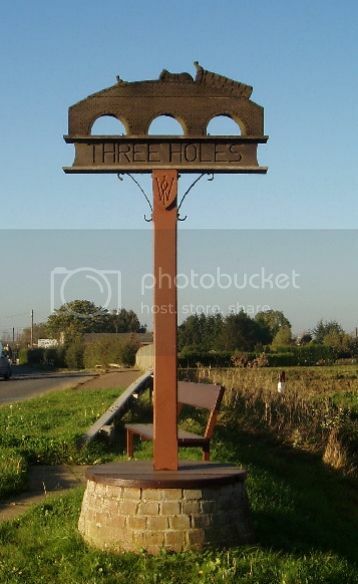 The original name for Three Holes was Wadingstow, at least from the early 13th century. This was the point of the Old Croft river where Upwell Town ended. In 1609, an order was made by a Session of Sewers at Ely for a new bridge at Wadingstow, to include 'three arches, each eight foot broad with three sufficient doors to shut in times of necessity and want of water for the navigation through the town of Well [now Upwell]'. This is the origin of the 'Three Holes bridge' which gave its name to Three Holes. Lbh pna penfu urer vs lbh yvxr, ohg GrnzCbq gnxrf ab erfcbafvovyvgl!